I am concerned about safety. How can I be certain my child will be safe at camp? 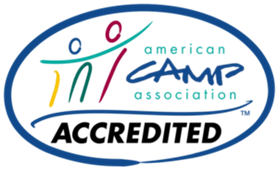 We are proud that our United Methodist Camps are accredited by the American Camp Association (ACA), the national ac­crediting body for camping programs and a leader in childhood development, education and welfare. To earn accreditation, camps must comply with up to 300 health, safety, and program quality standards. Across the country, only one in five camps seeks and earns this distinction. Koronis, Northern Pines, Kowawan regularly review every facet of their program and opera­tions. Our “off-site” camps, although not accredited through the ACA are held to similar standards as applicable. No accreditation process, no licensing program, no set of regulations or laws can guarantee safety. However, accreditation is evidence for parents that a camp is committed to providing a safe and nurturing environment for their children.